Public Speaking Course / Presentation Skills Training Seminar. 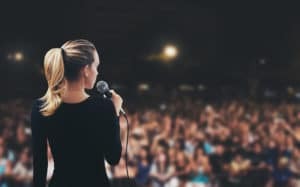 This public speaking course is the fastest, easiest way to reduce stage fright. In just two-days, this presentation seminar helps participants gain poise and self-confidence in front of a group! Public Speaking Fear is still the #1 fear in America. And, right or wrong, people form a perception of who we are and what we represent by the self-confidence that we show when we deliver business presentations. A person who can stand in front of a group, with poise and self-confidence, can immediately create the perception of competency. However, a person who is shy and timid in front of a group will have a tough time convincing the audience that he or she is capable. 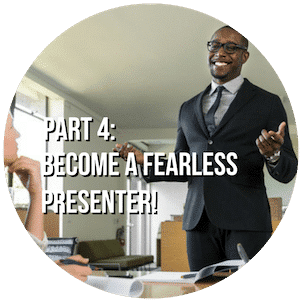 Our public speaking classes are designed to help participants generate this self-confidence when they speak, so that their audiences see them as being the expert! Secrets that We Reveal in this Presentation Skills Training Seminar! Tuition is just $1395/person and includes materials. 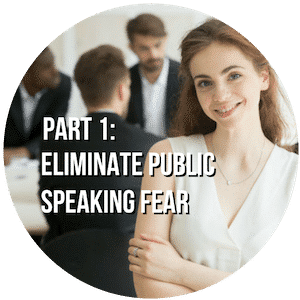 10 Ways to Reduce or Eliminate Public Speaking Fear! A Simple Technique that will Improve Your Memory so You Never Again Lose Your Train of Thought in a Speech. Using Stories and Examples to Make Your Presentations More Interesting. A Simple Technique that will Reduce 90% of Nervousness in Seconds! How to Write a World-Class, Compelling, Speech in Just Minutes (Versus Days or Weeks). Make Your Presentations "Audience Focused" so your audience pays attention from the very start. Using Stories and Examples to Explain Complicated Content. 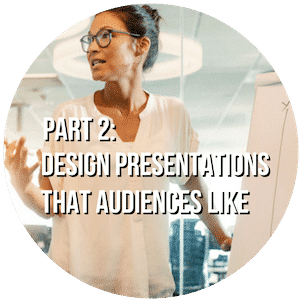 How to Design an Easy-to-Follow Presentation Outline and Deliver Your Entire Presentation without Notes. 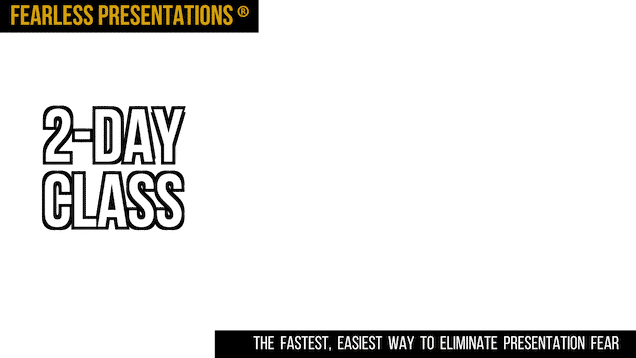 Add Enthusiasm and Energy to Any Presentation (Even Boring Ones). 10 Ways to Add Impact to Your Presentations. Use Analogies to Make Technical Business Presentations Easier to Understand. How to Use PowerPoint as a Visual Aid (Not the Actual Speech). Showmanship is a Secret to Great Presentations! Avoid the 10 Deadly Sins that Turn Off Audiences. Each of the events below have limited enrollments available to ensure optimal participation. Most classes have a maximum of 10 participants, so register early! Click on any of the links below to register for a class! Seating is limited. Tuition is just $1395/person for the two-day Fearless Presentations ® class. Private classes for groups of five or more people can be scheduled at your office for a discounted tuition. Seating is limited in each class, and seats are filled on a first come, first served basis. *Most classes require participants to guarantee registrations with a credit card before a registration can be completed. Invoices must be paid no later than 30 days after the completion of the class or the credit card on file will be charged for the tuition. All classes are limited enrollment and registrations are processed on a first come, first served basis. Tuition includes a non-refundable $100 registration fee. Because the class space is limited to just a few people, no refunds or transfers will be given within 14-days of course start date. Participants may transfer to a future class after a $100 transfer fee is received in our office as long as at least 14 days advance notice is given by participant. No-shows and/or participants who cancel within 14 days of the class start date will forfeit all tuition paid.